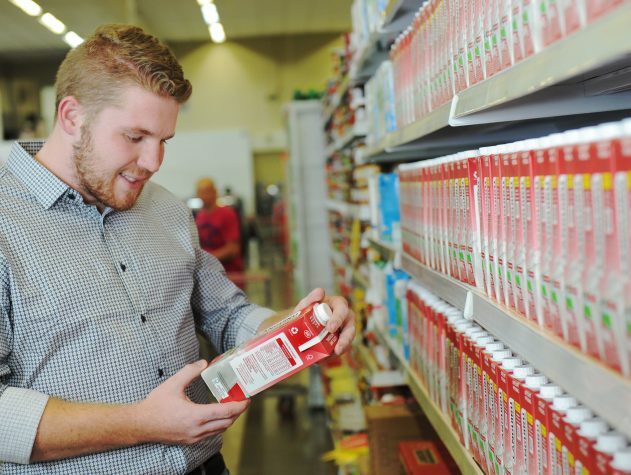 TEUTȎNIA, Brazil – A recent sales promotion pilot by Brazilian dairy-product producer Cooperativa Languiru succeeded in large part with the help of specially marked SIG carton packs, as revealed at the Consumer Goods Forum global summit in Singapore. A press release that SIG put out on Tuesday cited a forum seminar by S. Iswaran, Singapore’s Minister for Trade and Industry, who spoke about innovative technology that retailers can use to improve productivity and the consumer’s shopping experience. One of Iswaran’s key examples, the release noted, was Languiru’s promotion from earlier this year. The project involved using individual QR codes on SIG-produced cartons of Languiru milk and chocolate milk. The codes enabled buyers to download a Smartphone app that connected them with product information. More than 12,000 codes were generated per hour, according to SIG. The app received positive feedback from consumers, the release stated. Smartphone users found it easy to download and appreciated its information, particularly the fact that Languiru milk is locally produced. Children could redeem coupons to receive emoji cushions, which proved very popular; this led to a six per cent increase in sales, as consumers bought more Languiru milk to get the cushions. Customers also had opportunities to win shopping vouchers, bicycles, and cell phones. “SIG’s solution not only provides a one-on-one connection with our final consumers, but also opens up opportunities for tailor-made raffle promotions with our retailer partners,” Cooperativa Languiru president Dirceu Bayer said in a media statement on Tuesday. SIG’s press release pointed out that 94 per cent of promotion participants had used Android phones, with only six per cent using Apple ones. Seventy-one per cent of participants were female, including 56 per cent aged from 19 to 30 and 35 per cent from 31 to 60. “QR codes on cartons mean our consumers are able to trace products from their industrialization right to the shelf,” said Euclides Andrade, Cooperativa Languiru’s managing director, said in a statement. “Besides that, we benefit from detailed end-to-end value-chain performance monitoring, which enables us to improve operations and logistics. The Languiru promotion is part of the SIG and Siemens Connected Pack Solution, which accumulates product quality information at every stage of a product’s journey from creation to retail. The solution stores all of the information it collects in a single database. The technology is linked directly to Languiru production lines to maximize efficiency and cut expenses with an intelligence tool known as Power BI. With SIG’s QR codes, a company can track and trace products from plants to stores, leading to customized solutions that benefit consumers as well as manufacturers and retailers. More than five billion consumers worldwide own mobile phones, according to information from the GSM Association. Based in Teutȏnia, in the southern Brazilian province of Rio Grande do Sul, Cooperativa Languiru is a large production cooperative that employs about 2,900 people. Established in 1853, SIG is a leading systems and solutions provider for aseptic packaging, specializing in bringing food products to consumers in safe, sustainable, and affordable ways. The corporation’s headquarters is located in Neuhausen, Switzerland.